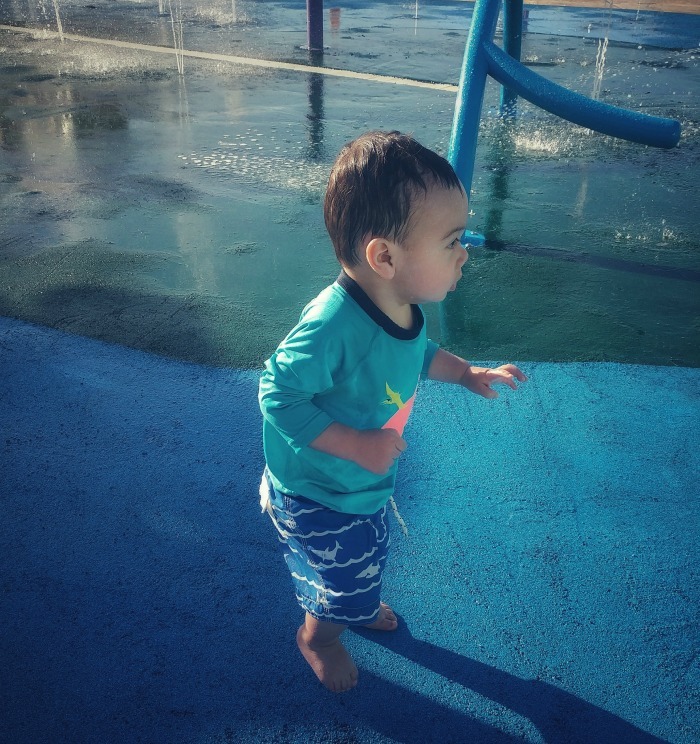 Travelling as a parent can be challenging, but not impossible! Planning is key and not having too many expectations helps too! 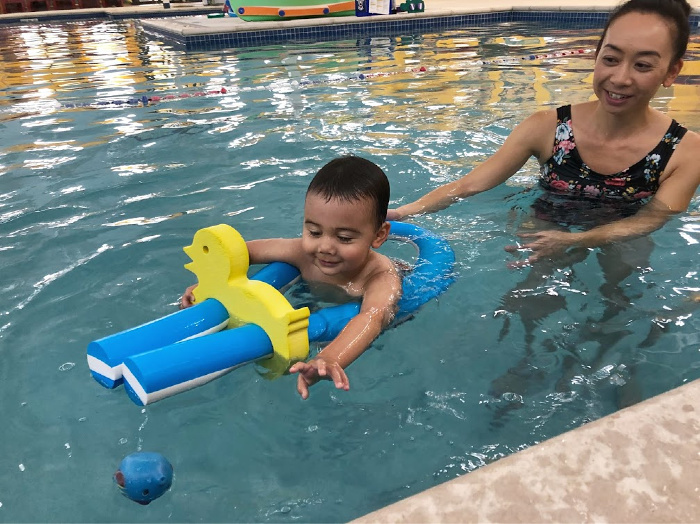 An all inclusive vacation with a toddler is a good way to “get your feet wet” when it comes to travelling. 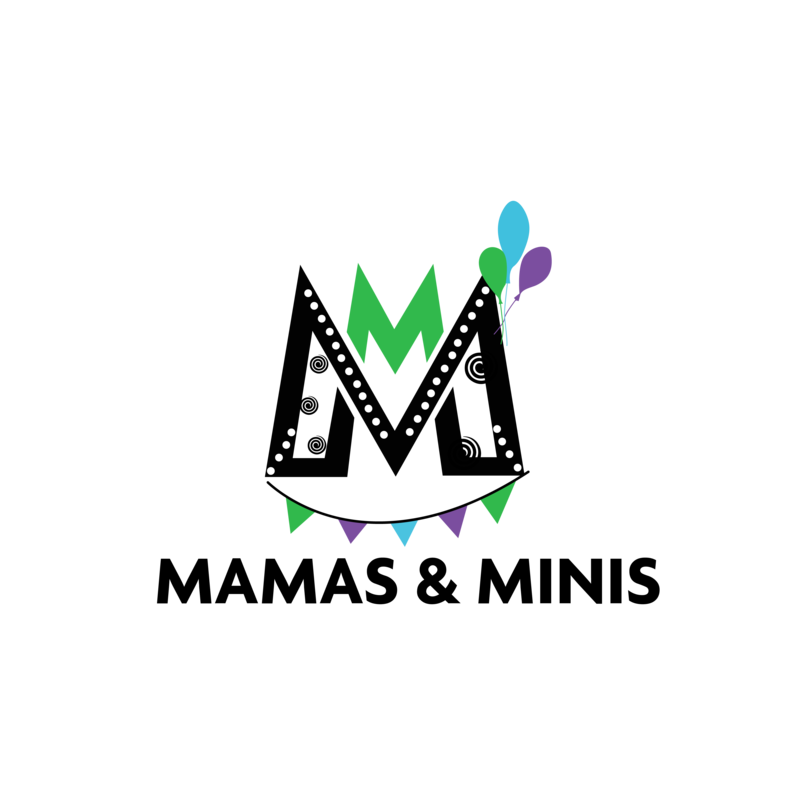 We recently took a trip to Mexico just before Christmas and we had a blast! Of course there were a few hiccups – that’s to be expected. Overall it was a great time and we made fantastic memories. It’s REALLY important to pick a family friendly resort. You’ll want to relax as much as possible while on vacation, so staff, restaurants and accommodations that extremely kid friendly are musts! 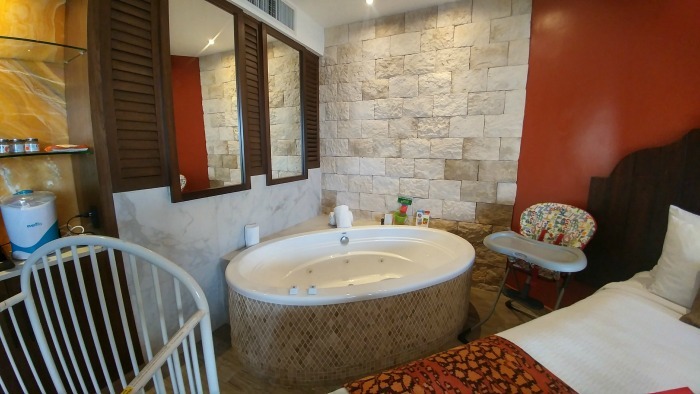 We considered all the above when booking our trip to the Hard Rock Mayan Riviera. You’ve already spent a few hours at the airport and on the plane. 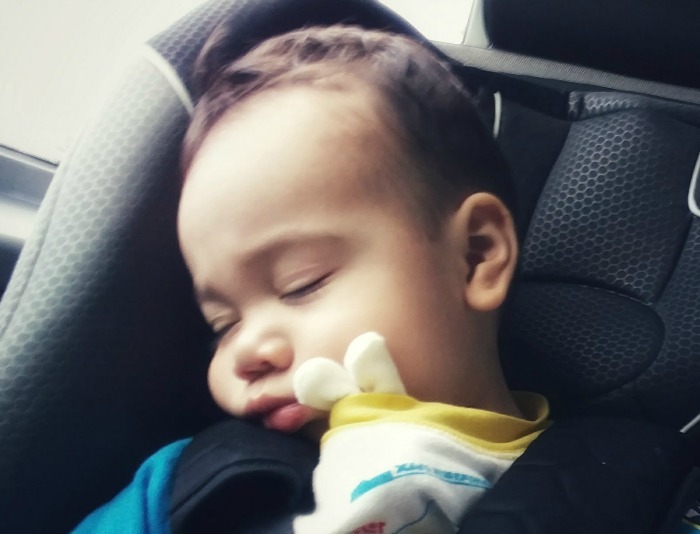 Even if you’re lucky and your toddler actually napped on the journey, you’ll still be exhausted once you land. The last thing you want is to have another 2 hour journey to the resort! Although the distance from airport to the Hard Rock was about an hour and a half, the rest of the points met my criteria. 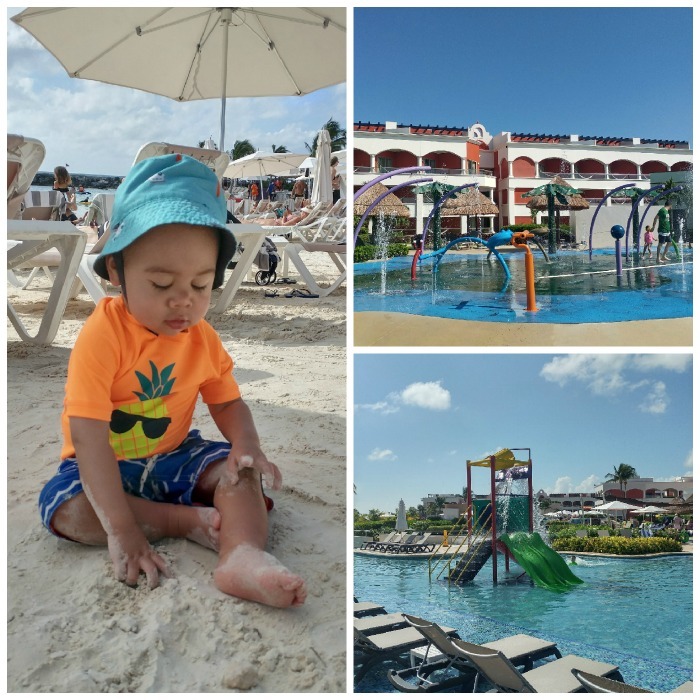 I’ve been on many all inclusive vacations before becoming a parent and one of the most annoying parts of the journey is being stuffed into a shuttle bus and making several stops at other resorts before finally arriving at ours. Even more annoying is when you just want to get to the hotel and you have rowdy people on your shuttle asking to stop for “cervezas” on the way! For this reason I opted to book a private shuttle with Olympus Tours to and from the hotel. I was also able to add on a car seat for T which was super helpful since I didn’t think he would sit in my lap for the whole trip to the hotel. 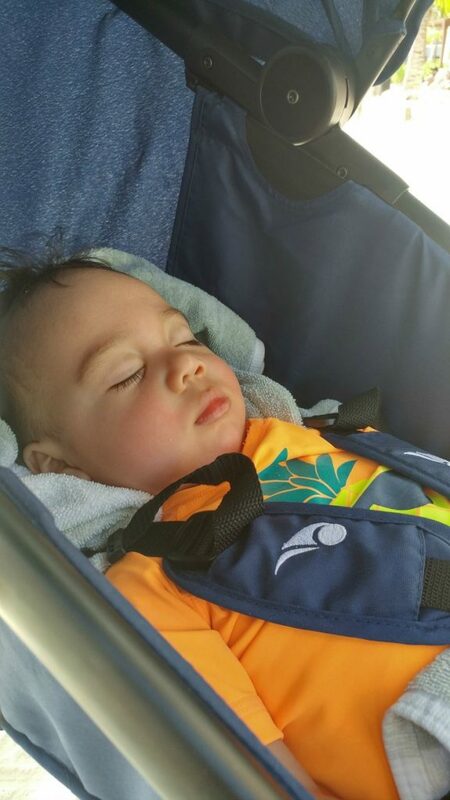 Bonus – the car seat made him more comfortable and he napped on the way to the hotel too! Most “Kids Clubs” are for older kids (4+) since at this age kids can be left with the staff and you can enjoy some time alone. 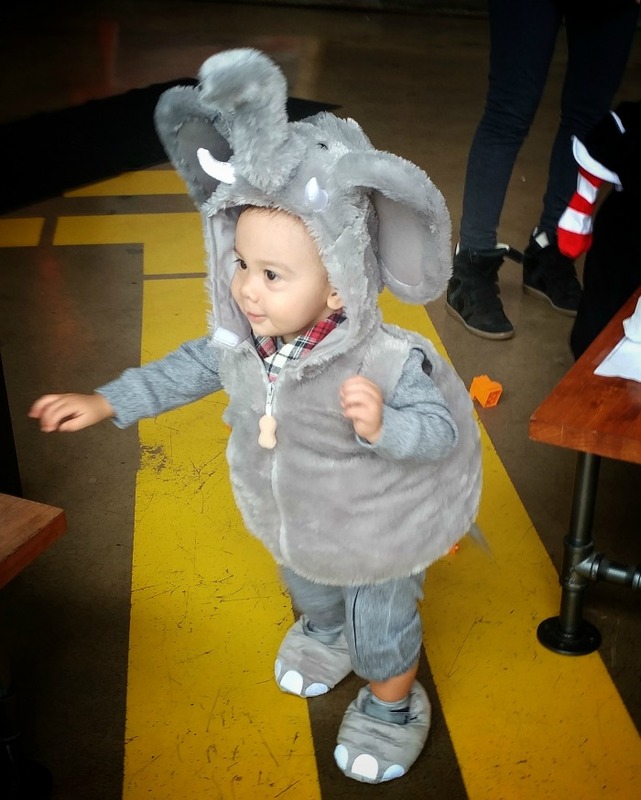 But many kids clubs will allow you to hang out with your toddler if some indoor activities are needed! Although this wasn’t key for us, it was a really nice option to have. With a toddler you just never know what their mood will be like and it can be hard to keep them entertained all day. Luckily for me, T is a really great eater. But for toddlers that are picky it can be worrisome to bring your child to an unfamiliar place. Make sure to check out what types of restaurants are available and what times they open. A family friendly restaurant is important since most toddlers will need a high chair to enjoy a meal with you. Also, restaurants that open early can help prevent “hangry” melt downs. The Hard Rock was great as some of their restaurants opened at 5pm and there was always a cafe open with with sandwiches, fruits, desserts and coffee. Even the pickiest of eaters will usually find something to eat at the buffet! Often times snack bars near the pool or beach have foods that kids seem to prefer. Find out what times they are open until so you can strategically plan if you need to save some food for dinner. Most kids sleep early so eating at the snack bar for dinner is a legitimate option! Check if your hotel offers 24 hour room service too. Again, you just never know if your toddler will cooperate and even WANT to sit like a civilized person in a restaurant, so a 24 hour room service option can save you. While you won’t be spending your days in your room, with a toddler early nights are the norm. If you’re opting for one room see if the hotel will provide you a crib and make sure you have a separate bedroom area or a balcony so that you can still enjoy your night while your baby sleeps. 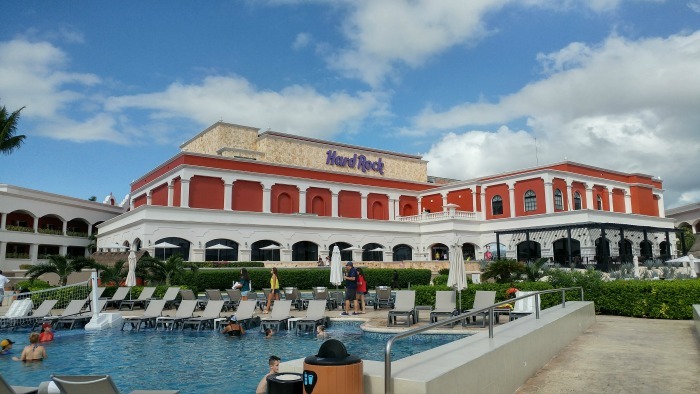 The Hard Rock has a lot of options for families – we ended up booking a family suite which was essentially two connecting rooms. The idea was for T to go to bed in a crib in one room and to hang out in the other…but of course he wouldn’t let me out of his sight so I was in bed early too! The week we were there we were able to get a baby package add on for free. It’s worth checking out if your resort has any add-ons or extra services that will help make your stay easier. While I knew we would be spending most of our time at the beach, I still wanted to make sure there was a baby friendly area in case we needed a change of scenery. This one might seem too obvious – why wouldn’t a resort have air conditioning? But my cousin went on an all inclusive trip before I booked mine and she warned me that the restaurants at the resort she was at DID NOT have air conditioning. They were all “open” to the air so the breeze and fans were all they used. As adults this would be fine, but a tired and hot toddler is NEVER a great combination. The Hard Rock’s lobby was completely enclosed and all the restaurants were indeed air conditioned. 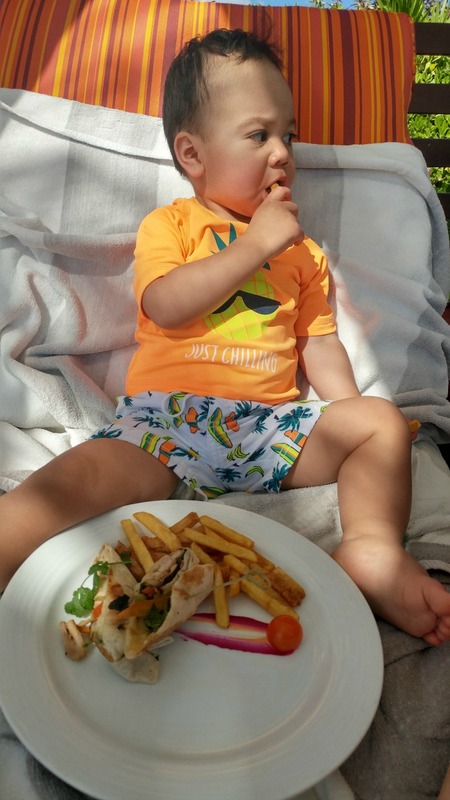 When you’re on an all inclusive vacation with a toddler you’ll want to comfortable at all times! This was also great for nap time. I would lay T down flat in his stroller and walk him through the air conditioned building while I had a coffee. When he fell asleep I rolled back to the beach and let him finish his nap in the shade beside me! and 3 hours of babysitting! While I wasn’t able to take advantage of many of the options, the diapers and wipes were extremely handy to have since I didn’t have to pack any. The on site store at the resort also sold wipes and diapers so I didn’t feel worried about running out. 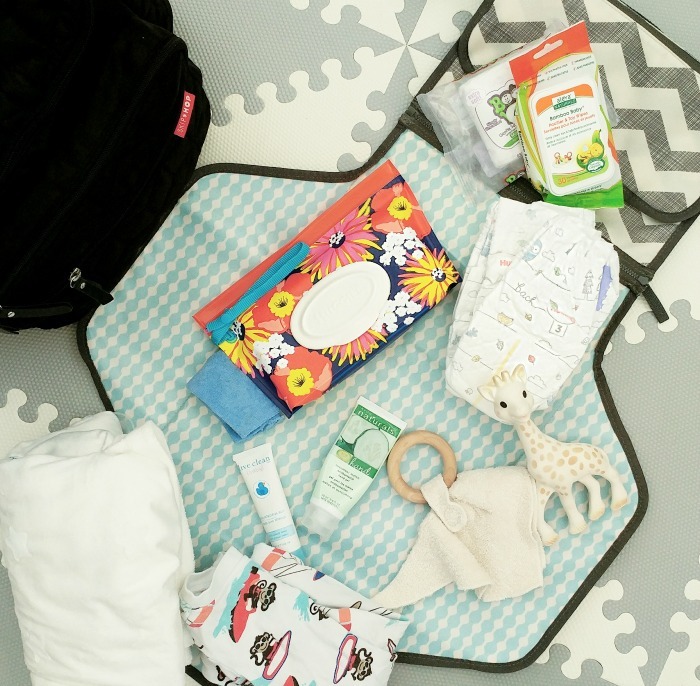 If the resort you’ll be staying at doesn’t offer a baby package, inquire if there is place on site where wipes and diapers can be purchased. This will save you from packing them which takes up valuable real estate in your suitcase. Also, the last thing you’ll want to do while on vacation is have to take a taxi into town to buy baby supplies! 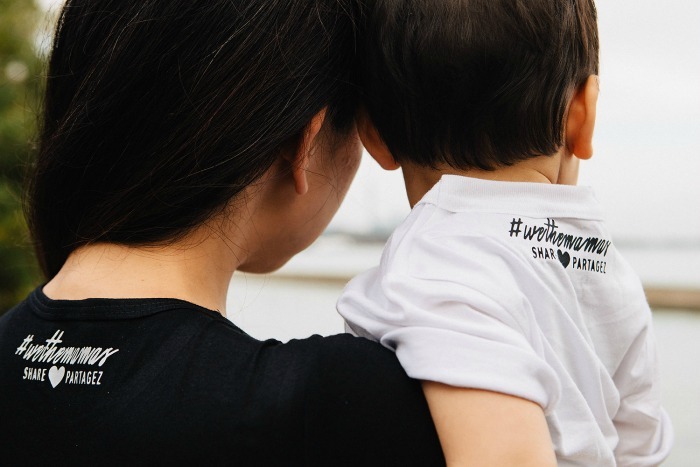 While we thankfully didn’t need any medical attention during our vacation, when travelling with kids you’ll want to know about the medical facilities. The Hard Rock had medical facilities available 24 hours a day so I felt very comfortable staying there. 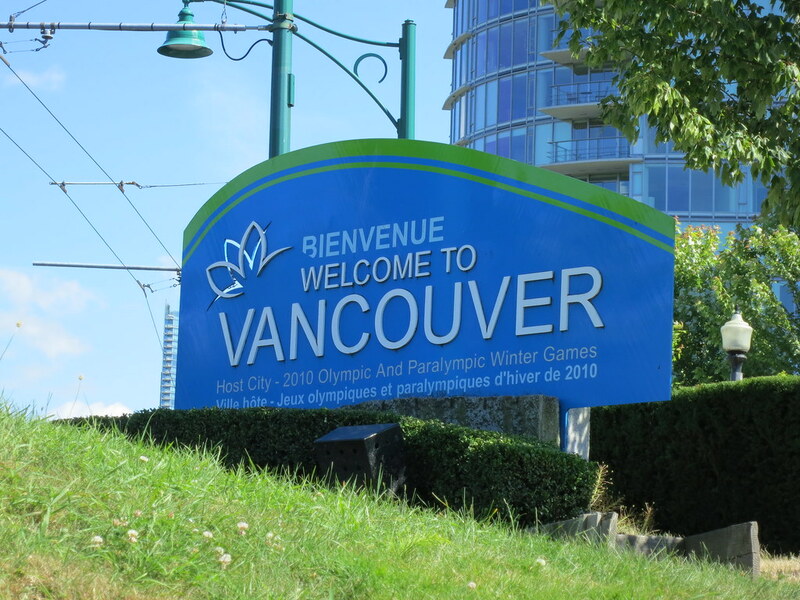 Be sure to check with your hotel before you finalize your booking. With kids the only thing you can count on is unpredictability and you don’t want to be caught off guard if something were to happen. 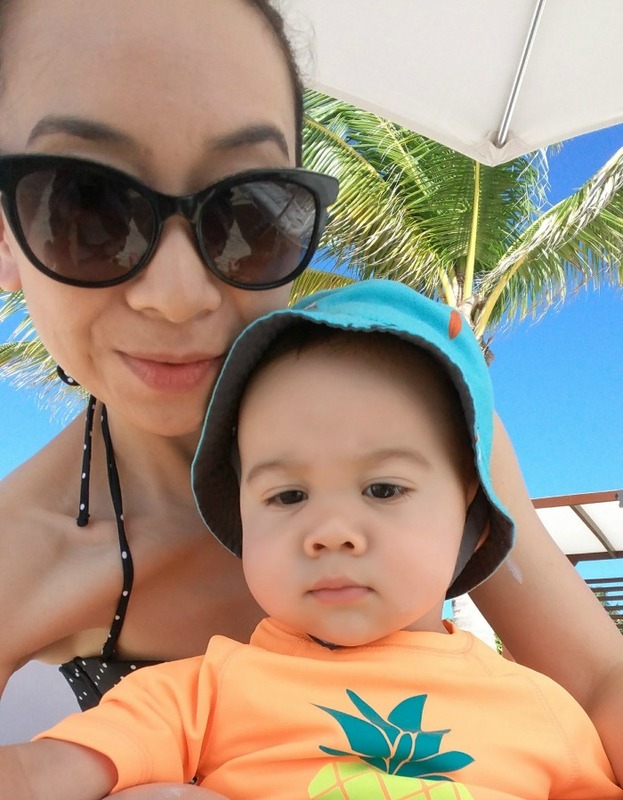 Hopefully these tips will help you when planning your next all inclusive vacation with a toddler! If you’re a seasoned traveler I’d love to hear your best tips too! Great article with excellent tips Elaine! We ruled out St. Lucia because of tip #1 (90 min bus ride from the airport to the resort with a 6mo old? No thanks!). Thanks so much Jill! LOL I know…there are SO many things to consider now with kids!